Samuel Beckett, one of the great avant-garde Irish dramatists and writers of the second half of the twentieth century, was born on 13 April 1906. He died in 1989. He won the Nobel Prize for Literature in 1969. His centenary will be celebrated throughout 2006 with performances of his major plays, but the most popular of them all will be, without doubt, the play with which he first made his name, Waiting for Godot. It opened the gates to the theatre of the absurd as four men appear on the stage, apparently with purpose but (perhaps) waiting for someone called Godot. It is stark, funny, bemusing and still deeply affecting half a century since its first production. 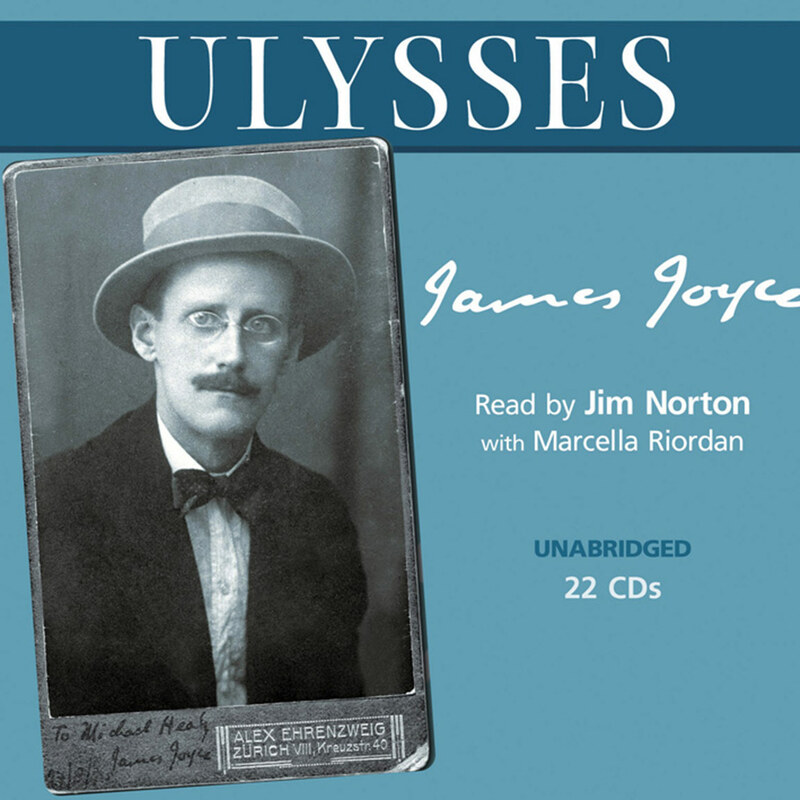 In this new recording for audiobook, John Tydeman, for many years head of BBC Radio Drama, takes a fresh look at one of the milestones in Western drama. 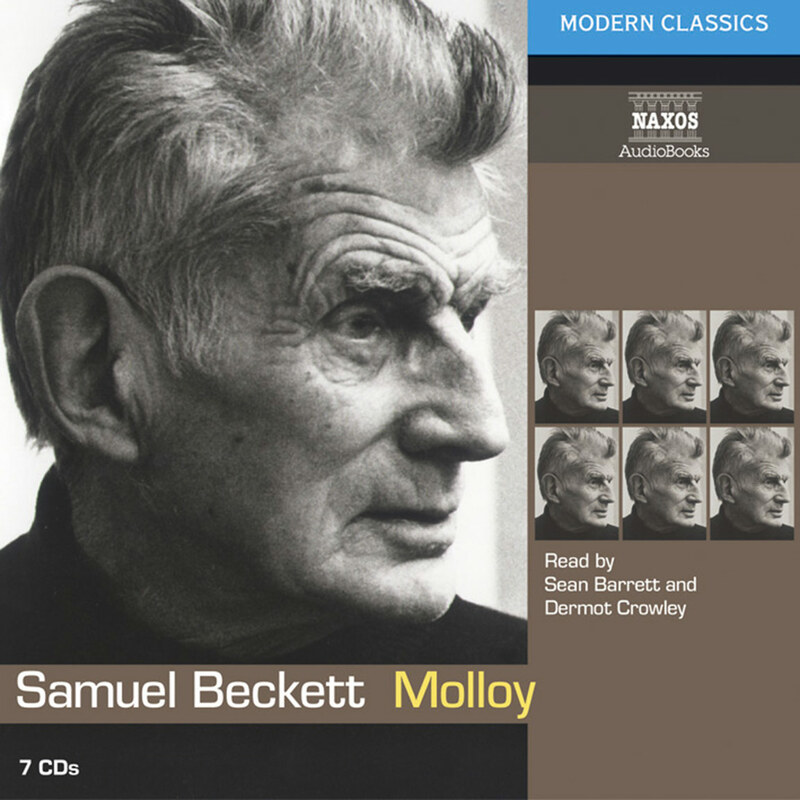 It follows the highly acclaimed recordings of Beckett’s Trilogy, Molloy, Malone Dies and The Unnamable published by Naxos AudioBooks. 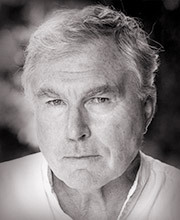 David Burke played Kent in the widely praised production by Richard Eyre at the Royal National Theatre. Among his many other theatrical credits was the extended London run of Michael Frayn’s Copenhagen. He has also appeared in Richard III and Coriolanus for the Almeida Theatre at the Gainsborough Studios and on tour in Japan and the USA. 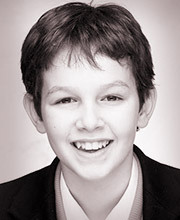 He has been seen in numerous film and television productions. He also plays the part of Kent in King Lear and Gonzalo in The Tempest and Estragon in Waiting for Godot for Naxos AudioBooks. 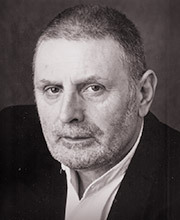 Terence Rigby has played Pozzo twice on stage. 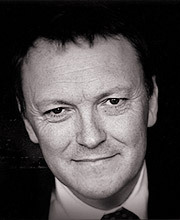 He was in Peter Hall’s 1998 production and then repeated the role in Hall’s 50th anniversary production at the Theatre Royal Bath in 2005. He has also played Davies in Harold Pinter’s The Caretaker at the Old Vic in Bristol – he has a close association with Pinter having appeared in US premières of The Homecoming and No Man’s Land, both directed by Peter Hall. His television appearances include Softly Softly, Tinker, Tailor, Soldier, Spy, and Born to Run with Billie Whitelaw. His films include Elizabeth, Dogs of War and Tomorrow Never Dies. There is now no doubt that not only is Waiting for Godot the outstanding play of the twentieth century, but it is also Samuel Beckett’s masterpiece. Although it achieved performance before any other of the thirty-four dramatic works in the Beckett canon, all of them brilliant and innovatingly different from any other plays of their time, and all of them having an impact that makes audiences reconsider the world they inhabit and their attitude to it, it is still Waiting for Godot that holds the crown and best rewards continuous visits. Twentieth century drama has, like all the arts, been incredibly rich, and one can not lightly put Beckett above the great expressionist theatre, from Shaw to Brecht, that aimed to educate as well as entertain; or the naturalist plays of Chekhov and his followers with their poignancy for a world that can never live up to its promise; or the strength of the attacks on a hypocritical society of Ibsen and his likes, and the great number of later playwrights of different schools who followed them. There has been a theatre of great talent that has sought mainly to entertain during a difficult century and another that tried to expose what is wrong with the world in order to make us want to change and improve it. But no drama has been more basic than that of Samuel Beckett, which always returns to the great questions of human existence, asking why we are here and what our ultimate destiny is, both as individuals and as a species co-existing with other and inter-related species. Waiting for Godot is a play of great simplicity, but it has the power to affect audiences much as great religious messages and great historical sagas have done in the past. It is not surprising that the comparison that is most often made is with Shakespeare. It is the rather deceptive simplicity of Waiting for Godot with its easy-to- recognise picture of ourselves going through life that caused the British critics to overwhelmingly dismiss it at its British première in 1955 at London’s Arts Theatre Club in Peter Hall’s production. Only Harold Hobson, the eccentric but open-minded theatre critic of the Sunday Times, usually right when every other critic was wrong, saved the play from an early demise at the Arts. He went back to review it again and frequently, so that his colleagues ultimately did the same and changed their minds. It must be said that Hobson was also the only British critic who kept in close touch with the Parisian theatre of the day, and would have known of its great French success in 1953 when it ran for many months. But there are other reasons why the play should have had a special appeal for Harold Hobson. His Christian Science mother had nursed him from polio as a child, and he had little difficulty in recognising the many religious references and associations in Waiting for Godot. It is no accident that audiences brought up as Christians, whether believers or not, if they have open minds, are especially attracted to the play. Beckett was brought up in a religious protestant household and sent to a school of the same faith. At university in Dublin be began to question the beliefs he had been taught, but without losing his awareness of the terrible suffering of all those who underwent crucifixion or other martyrdoms, because he had an instinctive and empathetic awareness of, and feeling for, suffering. The pain in the world, not possible to avoid, if you are a caring and sensitive person who knows what is going on in the less privileged parts of our planet, was never far from his mind. But the pain is also there even where there is privilege, because of accident, illness or malice. Beckett’s awareness of the most iconic image of Christianity, the crucifixion, was certainly strengthened by knowing that his birthday, on a Good Friday the thirteenth of April in 1906, was also the day of Christ’s crucifixion. That birthday date crops up fluently in all his fiction, and his father’s reaction to his birth is graphically described in his novella Company. As an adult Samuel Beckett lived without a religious faith, but he certainly missed emotionally what his logical mind could not believe, and it is interesting to note that one cannot find throughout his entire canon of work a single character who is not a believer, although he may be a reluctant one, and. in some cases, the belief may take the form of hatred or blame for the mess God has made of the world. When God is portrayed by Beckett, which he often is, either speaking with a forked tongue or, as he is usually seen by those with an unquestioning faith, he (God) sometimes is depicted as questioning his own conduct and regretting his mistakes. Beckett can therefore be viewed, as a secular theologian, constantly questioning the conventional tenets of Christianity. While studying Italian literature at Trinity, Beckett developed a special interest in Dante, who became an influence on all his work. Dante is the first major writer to give us a detailed and frightening picture of life after death, and most vividly to portray Hell in Inferno. Milton was later to do the same and he too was a frequent influence to whom Beckett sometimes refers. When one looks at Beckett’s later work which carries us forty years beyond the writing of Waiting for Godot, one suddenly realises that a preoccupation with Hell was with him all his life and that much of his writing was an attempt to define or describe a Hell of the mind in modern terms in which dream, coma and continuing post-life consciousness all play a part. Philosophy was another of Beckett’s subjects at Trinity and he read both the religious and the secular philosophers there and throughout his life. Much theology, especially from the medieval period of scholasticism, is clearly nonsense, and when Beckett attacks it in his work he uses a devastating wit, and he amusingly parodies those who accept and never question even the most outrageous dogmas in both his novels and plays. This accounts for much of the fascination that clerics, many of whom have their own personal difficulties with what they have to preach, develop with Beckett’s work. They recognise the references, discover their own doubts echoed, and find themselves asking new questions, The purpose of religion is to explain our existence, and beyond that to offer some comfort in a world that is always frightening. It is there to reassure. Beckett, on the other hand, does not reassure. He makes us face the world as we see it in reality and his characters are simply looking at that world and relating it to what they are told by others that it is. In bringing together what we see, what we are, what we are told we should think, and contrasting it to what we do think, often without wanting to, Beckett opens up a whole new world of reality, Once we realise we are not looking at an idealised or flattering view of ourselves, as we would be portrayed by Oscar Wilde, Noel Coward or any of the other playwrights who glamourise us, even when they expose us as hypocrites or villains of some sort, we should have no difficulty with a Beckett play. Shakespeare was able to bring about the same moments of audience recognition of the true person within the facade we all present to the world, and that is the principal reason that Beckett is so often compared to Shakespeare. Beckett’s characters represent all of humanity and so do Shakespeare’s, but they put their characters into different social classes for the most part, which is one reason why audiences took some time to adjust to always viewing tramps, the terminally ill or dying versions of themselves, whereas Shakespeare often portrayed kings, princes and the nobility, as human as everyone else, but belonging to a class familiar to the audience. The use of tragedy and comedy is similar with both authors, related in the first case mainly to destiny’s role in shaping human events which must always end in death, while in the second our obsessions are explored, the human follies that inspire laughter but are often the Beckettian risus purus, the laugh at unhappiness. Both writers made use of the soliloquy in which a character talks directly to the audience, letting it into his mind and his thoughts. Sooner or later many members of the audience will remember those thoughts and relate them to their own. The very act of speaking directly to an audience breaks down the artificial barrier between stage and auditorium, gets rid of the invisible fourth wall, and thus creates a direct rapport between minds, heightening attention and enforcing concentration. Before discussing Waiting for Godot in detail, it is useful to look at the origins of the play, not in order to talk about its universal relevance and meaning, but to establish the locale where it takes place. Beckett was in France in 1940, although as an Irishman he belonged to a neutral country and had no good reason to be involved in the war at all. But he had lived in Paris for a decade and wanted to be with his friends. When some of them set up a Resistance group during the German occupation he joined it. It was discovered and most of its members were captured, tortured and killed. By a lucky chance Beckett was able to escape and he bicycled with his lady companion, whom he later married, to the south, ending in Roussillon in the Vaucluse, part of the Vichy area of France that was self- governing but in all ways subservient to the Germans. Here Samuel Beckett and Suzanne Dechevaux sat out the war, sometimes taking part in Haquis activities. He wrote the novel Watt and earned enough to live by working on a local farm, for the most part picking grapes for a wine- grower called Bonelly. Another refugee in the same position was Henri Hayden, a Dutch Jewish painter of some reknown as a cubist. Every so often the two men had to hide in the woods because a German convoy went through the town or a patrol was searching for those who had reason to hide. This is the background situation of the play, two men having to pass the time until word came that it was safe to return. But of course there was always the danger of betrayal, which accounts for the feeling of menace, as well as the boredom of desultory conversation, wearing thin as the hours pass; all this is there in the play. But Beckett’s brilliance in turning the situation into a metaphor for life itself, while bringing in all the themes that can be related to the war, and by implication the political situation of that and any other time, with the ever-present temptation to give up in despair and at the same time the human need to keep on struggling and, when possible, to look for some ray of hope, is pure genius. The play in essence is universalised autobiography. But it encompasses within its two acts every major Beckett theme, his insights into the human condition and his thoughts about the future of the world and the human race, as well as the arguments we have developed to make ourselves continue living day by day a little longer. I shall try to enumerate some of those themes because they make up one great writer’s view of the world. All his work is simply a vehicle for putting that view over to those who go to see his plays or read his novels and poetry, all of which echo the same thoughts. Birth is of course an accident and not a happy one. It would have been better to die as a wasted sperm or unfertilised egg and never to have been born at all, because then one would never have suffered as we all must suffer, above all never have been aware of an existence that we value so much and are so afraid of losing. Life is in any case very short and passes in a flash. The shortness of life is a constant Beckett theme and in the second act it is the climax of Pozzo’s departing speech when he says, ‘we are born astride of a grave.’ Vladimir, in his great soliloquy a few moments later, ponders the words and adds ‘Down in the hole, lingeringly, the gravedigger puts on the forceps.’ The concept of the moment of birth and death being the same moment occurs many times in Beckett’s work. One such fancy is that they can hear voices in the air and in the winds, the voices of all the dead departed, whose bodies might well be lying in ‘the charnel house’ under their feet. How often do we think about the history that has taken place under the ground we walk upon, build upon, spend our lives upon? It is indeed a charnel house! The dead voices, as the two tramps imagine they hear them, are talking about their lives, each voice going over that life again and again, unaware that others are doing the same. This isolation of the mind speaking to itself, which may have its origin in dream or nightmare, constantly recurs in Beckett’s writing, both in the novels and the plays. It is the situation of the narrator in The Unnamable (also recorded by Naxos) and of the three characters in Play, one of Beckett’s most poignant stage works, which depicts a post-life situation. The idea that the dead live on, constantly remembering their lives, may well have its origin in Dante, but it is a constant Beckett theme. Certain images play a large part in Waiting for Godot, the major one being the solitary tree, one of the two visible things seen on stage, the other being a stone large enough to sit on. The tree represents the cross of the crucifixion, and the sight of it constantly brings that event to Vladimir’s mind. But it could possibly also be a means to escape through suicide and that speculation rises frequently. The tree also points to the sky, and by inference, to Heaven, and there is a touch of Japanese symbolism in this because Vladimir, who undoubtedly has a spiritual side to him, has a close relationship to the tree, whereas Estragon, who frequently sits on the stone to rest or sleep, is attached to that, which is to say to the earth. It is Estragon who is always thinking of his stomach and looking for food, whereas Vladimir loses himself in the world of ideas. In his stage directions, and even more in the notebooks kept by his assistant Walter Asmys, during the famous Berlin production that Beckett was asked to direct by the Schiller Theatre, Beckett constantly indicates circles to guide the movements of actors and these come directly from the nine circles of Hell in Dante’s Inferno. Such stage directions are of course in no way obvious to the audience, but Beckett’s plays, although simple in their meaning, also contain literary depths that offer endless fascination to those interested enough to look deeper. The two tramps know that they will not be alive very much longer and constantly think of killing themselves. But they are also afraid of death and constantly put such thoughts of suicide behind them when any excuse for a change of subject comes up. But, and Beckett says this many times in his work, we are more afraid of being forgotten than we are of dying. He has recognised that one of our deepest anxieties, that having come into the world and gone through a life that for almost everyone offers much pain, worry and suffering and little that is pleasurable, we must not only die and disappear for ever, but be forgotten. In a short time there will be no record or any memory of our lives. Our fear of total anonymity is greater than our fear of death. Many other writers have said this, but Beckett, in portraying characters at the bottom of the social spectrum of humanity, of whom in particular it is very obviously true, has given that universal fear greater force. We all desperately want to be remembered. Otherwise what is the point, not only of having lived, but of having accomplished anything during that lifetime? Nothing has been said so far about the other two main characters in Waiting for Godot. They too can be related to the wartime years in Roussillon, but less directly. Pozzo is a rich landowner or says he is, a blustering self- important bully, who is taking his servant, a kind of slave who obviously was once a professor or philosopher, to market to sell him because he is now old and useless. He stops in the first act to converse with the two tramps, partly because it is now his lunchtime and partly because he wants to show off. When we realise that Beckett spent nearly four years under German occupation, it is not hard to identify Pozzo with the German occupying forces and Lucky, the slave, with the occupied French, virtual slaves in their own land. Not too much must be made of this, because Beckett has universalised those wartime years into a metaphor for human life itself, and we are all aware how much the powerful like to enjoy their power and how miserable they can make those they dominate. By the end of the first act it is normal to dislike Pozzo as a ridiculous overbearing figure, perhaps not quite all he seems, but we change our view of him when he returns in the second. He has not succeeded in selling Lucky, but the whole situation between them has changed. Pozzo has gone blind and is now totally dependent on his servant to guide him home and for his every need. He has however not fallen to pieces, but developed a stoic courage to bear his lot and carry on in any way he can, even having developed a certain dignity that we begin to admire. His final speech as he exits is an angry philosophical one, accepting that the unexpected can always happen in life, and tragedy strike out of the blue. Beckett does not create cardboard characters for us to like or dislike! He shows us believable people who can be changed by experience, and we can see ourselves in them and understand ourselves and our lives better as a result. Waiting for Godot, as with a Shakespeare play, is highly poetic without being pretentiously so, replete with great dramatic moments, philosophical soliloquys and, as is so often said of Hamlet that it in many ways resembles, with easily remembered quotations. The most puzzling speech, until one begins to learn what it is about, is Lucky’s ‘think’, a speech which he is ordered to deliver by Pozzo to entertain the two tramps. Although it sounds like gibberish, it is not. Lucky is obviously a demented intellectual, his mind in tatters, remembering fragments of past learning, working himself into a frenzy as words come back and with them the thoughts behind them. It is a monologue in three parts, not too easily understood. The beginning, which starts slowly, is theological. It asks why, as in Calvinist doctrine, God loves some and damns others, recognising the injustice in that doctrine and making allusions to long- forgotten theologians and some literary references. The second part is probably based on Nietsche and Shaw as much as on Darwin. It is a statement about human evolution and of how we can expect mankind to become more intelligent, live longer and become healthier because of better diet, body- development through sport, medicine and science, a fairly common conception that does not take into account the depth of human folly to prevent such improvement in the human condition. The third, is the Beckettian long-term view; the world will grow cold as it moves further from the sun, but other factors long before that may end all earthly life, so that in the end a few skulls may lie around on barren ground on the earth’s surface in the great cold to come. that human beings can offer each other, The other basic element in Godot that pervades the play is the ever-present, but always dubious, presence of hope. It may have no foundation in reality, but we apparently cannot live without it. Hope is symbolised at the end of each act by the appearance of a boy, always with the same message, that Mr Godot cannot come tonight, but surely tomorrow. There is a suggestion that the boy has appeared many times, and sometimes it is his brother and not himself who came the last time. But the tendency, in spite of all experience, is to believe him, and hope that Godot will eventually appear and offer a job and with it a relief from the hunger, cold and deprivation which has for so long been the life of the two tramps. But the appearance of the boy also has another purpose; each time he claims not to have seen Vladimir before, although perhaps his brother did. What upsets Vladimir most is not being remembered, a signal that his one-time presence in the world, will soon be totally forgotten, even by a boy who might, because of his age, be expected, to remember for a long time. Thoughout Beckett’s work boys are always associated, with the future and the memory that might be preserved. Waiting for Godot contains many quotations from other sources, starting with the first words spoken by Estragon: ‘Nothing to be done’. Although he is referring to his difficulty in taking off his boots, it is also a statement about the whole human condition and it is taken up as such by Vladimir. The quotation comes from Arnold Geulincx, a Belgian follower of Descartes, who Beckett read at Trinity. Geulincx’s principal philosophical message is that God is so far away that there is no good reason for him to even know we exist, and that therefore we should lead our lives with appropriate humility. There are many quotations in the play, one at least from Hamlet and one from a Shelley poem, but these are not really relevant, only interesting to those who have pleasure in finding them. It is the play itself that matters, both as a metaphor for the life we all lead, with its hopes and disappointments, but also its possibilities to make things a little easier for others through compassion and by effort. It also tells us something about facing reality and not wish-dreams with courage and a stoical recognition of our mortality. Our time, since Beckett died in 1989, has been dominated by a global consumer industry that tries to fill our minds with fashion, trivia and short term escapes from reality. That this does not satisfy many people, especially those who like to use the intelligence they were born with, is evident in many ways, and. especially in the behaviour of those who over-indulge in substances that destroy our minds. Beckett may offer a bleak outlook on the world, but it is a realistic one, based on what we are and not on what we think we are or would like to be. In his ability to make us face truth he gives us the courage to live better lives and confront our problems with understanding. But he is also a great artist who gives us original concepts and new ways of thinking, a perfectionist who uses words with great clarity and beauty, so that he can be enjoyed on many levels, including the deepest. It is a rare gift to be able to give courage to others, but many have learned that he can do it. Once one enters the Beckett world one is in it for life: ultimately it makes one not only a better member of society, but a more complete and caring human being.